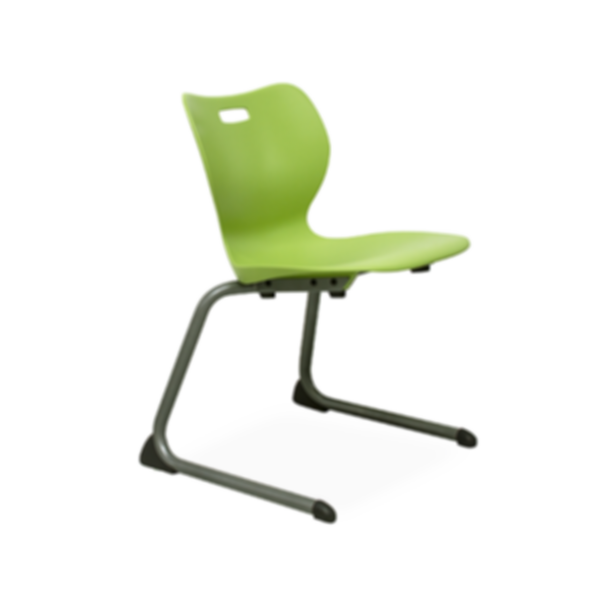 The Alphabet cantilever chair design allows more freedom to move the chair around the classroom and takes up less space than four leg chairs. The unique design of the frame and leveling bumpers below the seat allow the chair to safely rest on the work surface. Poly shell available in 14'', 16'', and 18'' seat heights, multi-ply wood shell available in 16" and 18" seat heights.